...So, David, if you're ever in the neighborhood again, you've got a standing invitation to drop in. Next time, though, bring that concerto for harmonium! In fact, having determined that's a "gap" in my collection, just bought a recording this evening. I misspoke on Saturday, by the by; the works aren't humoresques, they're bagatelles. A distinction without much of a difference, I suppose, but might as well put the, uh, record straight. For those going like this: , Wes has a lovely harmonium (popularly called a "pump organ"), an instrument once very much a fixture of the musical home but not one that drew much attention from the "great" composers. Dvorak is an exception, as he wrote a set of trios for harmonium and strings, and, spurred by my having seen it Saturday, that's what we were/are discussing. ubertrout and Bubbamike like this. Whatever they're called, I'll look forward to hearing the recording next time you're down this way. Maybe I can manage to patch up the bellows on that harmonium by then and you can hear it better. By the way, my invitation goes for anyone else on the CMC. If you're passing through central Virginia, send me a PM and let's see if we can meet. ubertrout, 6138 and George P like this. We go to Richmond 2 or 3 times a year for long weekends but my wife would not like me sitting around talking about music. 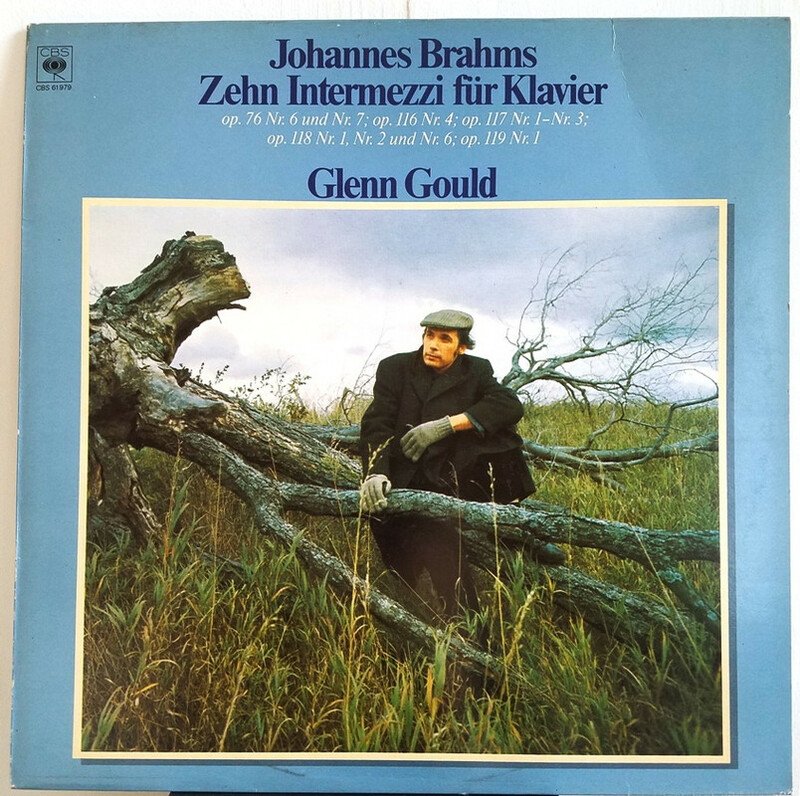 One last Glenn Gould album this evening: Brahms 10 Intermezzi for Piano. The master Bach interpreter plays some highly romantic Brahms here. Recorded September/November 1960 at the Columbia 30th Street Studio, NYC. Originally released April 17, 1961. Tonight I'm playing this 1980 German-made LP. Eigenvector, Marzz, crispi and 1 other person like this. 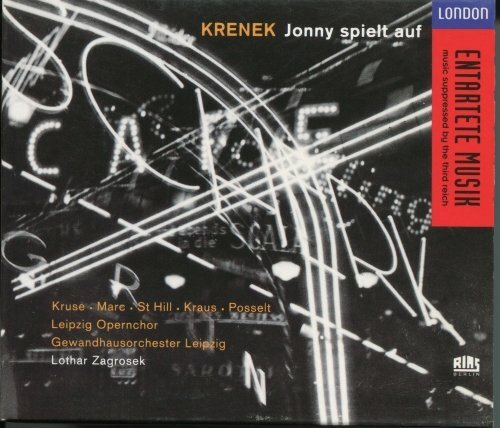 A fun night at the opera, on the surface very different sounding music from the seemingly stern/forlorn instrumental music I've heard from Krenek thus far. I liked it! More Stravinsky from the Sony/Columbia big box, including Symphony in Three Movements, or, "I Can't Get Started". For the life of me seems to anticipate a sensibility that I associate with a certain ~1980s-90s hip-hop/dj-culture, "cut-up" style of centripetal interruptions. 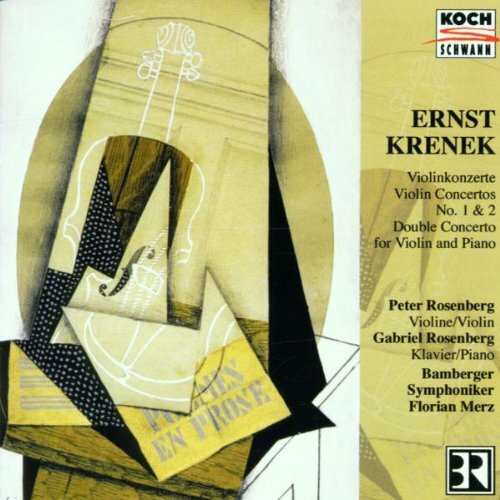 I can listen to Bernhard Lang's "contemporary" neuemusik appropriation of this kind of music (cutting/sampling)---a direct response---and it still somehow doesn't sound as close as the Stravinsky (1945). Wild! One of Gould’s best albums. hvbias, Wes H and George P like this. And Gould, if he were alive, would agree with you. Family holidays sometimes leave you a bit out of touch with what your favourite artists are releasing. Two days ago, I was a little shocked that the Alpha classics label had released this wonderful release at the end of August. Now I'm very much enjoying catching up with the latest installment in Hannigan and De Leeuw's work on turn of the century compositions. In contrast to their Satie: Socraté release which was dedicated to a single very late work, they've chosen six composers' very early work (between ca. 23-32 years old), all from the Viennese school. Perhaps the youthfulness of the composers is belied by the choice of repertoire and De Leeuw's playing which could be a little more sprightly. Tempi are on the sedate side. Hannigan is simply prime Hannigan, accentuating her strengths and tastefulness. Mahler / Hannigan / Leeuw - Vienna Fin De Siecle - ALPHA CD Grooves Inc.
Couldn't wait for the CD of this so I opted for the download simply because it was available a few weeks earlier! I wasn't let down. So glad to see the Wolf/Goethe - Mignon get an airing and I think it's especially good. I usually approach music for the first time hilariously ignorant of its context, to whatever extent this can be managed; and this is especially true with opera, where I almost never follow the libretto the first time I hear it. I'm not sure how productive this is, but it's not entirely borne of laziness. So it's only just now that I am finding out about the whole blackface thing: oof. Even that weren't the leasebreaker---and even if the lead were performed by a black man, per James Weldon Johnson's complaint at the time, and one could imagine Robeson doing something with this not unlike EMPEROR JONES---it would still seem like an irresponsible "provocation", stoking mobs for box-office returns. Of course there are a number of layers that I need to work through before drawing conclusions or stoking a bonfire. I still like a lot of the music, but "fun" isn't quite the word I'd use anymore. I'm more curious than ever why the Nazis hated it. Really liked this disc. I've enjoyed Schafer in a number of recordings of modern music. I will listening to her ~2001 Berg LULU with Levine/Met soon....supposedly a keeper. 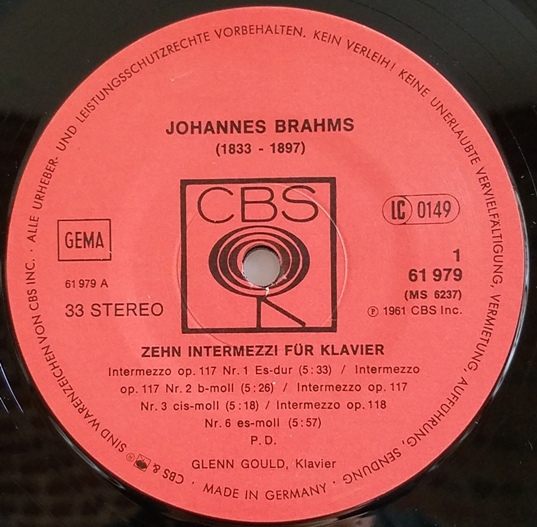 He is indeed really good with the Brahms Intermezzi, I never would have thought to check him out for Brahms until someone in this thread or the other classical thread recommended it. It looks like Royal Mail lost my Maryla Jonas box set and this was showing at a fairly high price from several of the Amazon US sellers (they now have them again) I decided to quickly buy one again as many of these smaller Sony boxes do not stay in print that often. I've listened to all of a web FLAC a few times and really liked these performances. Marzz and Bubbamike like this. I was listening to the interviews in the last volume of the Josef Hofmann Marston disc. The one I found most interesting was the one with Jorge Bolet, he so succinctly and accurately conveyed the playing of some of the great pianists of his time. For instance saying that Horowitz captured the tension of the music. Or telling the interviewer that he didn't think Hofmann was properly captured on recordings which IMO might be why I am not a huge Hofmann fan. He also spoke very highly of Rachmaninoff as a pianist which I agree with. I have all of the Naxos volumes where he plays piano, are there others in good mastering worth seeking out? This one is great! It was mastered by Ward Marston and the sound on the concertos is a bit more natural than Mark Obert-Thorn's work on those works for Naxos. Marzz, Octave and hvbias like this. I am really pleased to hear this. I'd actually dragged feet buying this set because of the negative "P. Bryce" Amazon review of the newest (but identical contents/mastering?) iteration in the cheapo Sony 'Masters' series. One commenter to this review (Stephen Fleschler, about halfway down the comments stream) even conjectured that the remastering wasn't Marston's. (Because it "couldn't be"?) I've appended the review below and the comment below that, for no especial reason. I'm inclined to believe you, George; it's not like you don't know Marston's work. Buyer Beware. 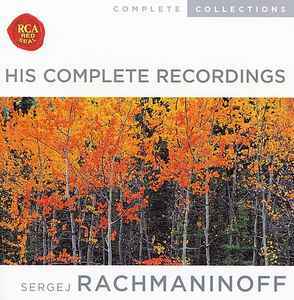 Despite the prominent “24 bit High Resolution Audio” logo on the back of the box, this is the third incarnation of the “Complete RCA recordings of Rachmaninoff” originally released in 1990 at something over $100 (!) It was no bargain then, and even at $25 for this stripped down set (no program notes at all) it is still not a bargain. The buyer should know that absolutely nothing has been done to the original 1990 digital mastering of these invaluable performances to improve the sound quality, which ranges from the acceptable (unfortunately in the distinct minority) to the abysmally bad. Almost anyone owning an average copy of any of the original 78 RPM shellac records, as I do, playing them with a post-war 78 stylus (incorrect for Victor records of this period) could make a better sounding transfer to CD than most of these. It should also be noted that the title of the set is inaccurate. Actually, it also includes the sides made by Rachmaninoff for Thomas A. Edison in Orange, N.J. in 1919 and released by his company on Diamond Discs, a hill-and-dale technology used for cylinder records, but in a flat disc format unique to Edison. In fact, most cylinders issued after 1913 are actually re-recordings onto cylinder masters direct from Diamond Discs. None of the Rachmaninoff items were issued on cylinders, which were marketed to the low-brow market. Edison, after the April 1919 sessions, is said to have referred to Rachmaninoff as “that piano pounder” and never engaged him again. In his defense, Edison was legally deaf, but Rachmaninoff's recordings, although done using an upright piano, are actually quite good. The pianist then went on to the Victor company, later RCA Victor, to record the balance of his sides as an “exclusive artist.” Although Diamond Discs were a superior technology to lateral cut acoustical discs of the time, and Edison's engineers were adept at recording in the acoustical medium, you would never know it by listening to these transfers. The roar of the running noise nearly drowns out the music. Diamond Discs can be played on modern equipment with slight adaptations, and an average disc would sound better than these transfers despite being nearly a century old at this point. Because there is little or no musical information above 6Khz on acoustical recordings, simply filtering out frequencies above this would have improved these transfers immeasurably. Indeed, anyone who possesses an old graphic equalizer can suppress a fair amount of the irrelevant surface noise by simply reducing the highest frequencies to a minimum without losing any musical information. So there is no excuse for such intolerable neglect as these Edison recordings have received here. To prove how good these recordings can sound, you need only to listen to the fairly decent transfer of Liszt's Hungarian Rhapsody on Disc 10, which, by the way, contains Rachmaninoff's original cadenza, which the two complete sets of Rachmaninoff's works do not include. It approximates the sound of the original Edison discs (#6739-41) when played on an Edison Diamond Disc player (they could not be played on a Victrola or other acoustical phonograph). As to the Victor sides, the acoustic transfers all suffer from the same neglect, but to a varying extent. Most of them sound almost as though they were thought of as having no value compared to his later, electrical recordings. Though anyone who puts the performance above the quality of the transfer can listen through any amount of noise, there is no need that they should be made to do so. Certainly, the former RCA Victor vaults have the metal parts for most of these recordings, and even if some are damaged or destroyed, most of these sides seem to have been transferred from any shellac copy that came to hand rather than the best that could be found. And although over-processing is sometimes worse than doing nothing, nothing whatever seems to have been done to separate the noise from the music when this can easily be done by just eliminating the frequencies that have no musical information as noted above. When one arrives at the post-1925 “electrical” recordings that were recorded using a microphone rather than a horn, things are not so simple, because the musical frequency range is far wider and not so easy to separate from a source's surface noise. However, it seems the decision here was always to just play the source material as is. Therefore the transfers of the electrical recordings vary by how well preserved the source material was. The best sounding transfers apparently coincide with those items reissued in the early 1950's by RCA on its budget Camden LP line. These have very low noise levels but don't seem attenuated in the high frequencies and so give a good idea of the performance. Even for these rock-bottom budget LPs (they sold for $1.98, when new records cost $3.98 and no discounts were allowed), engineers back in those days took the time to process these recordings with the respect they deserve, probably using the metal parts as the source. Oh, what a difference! 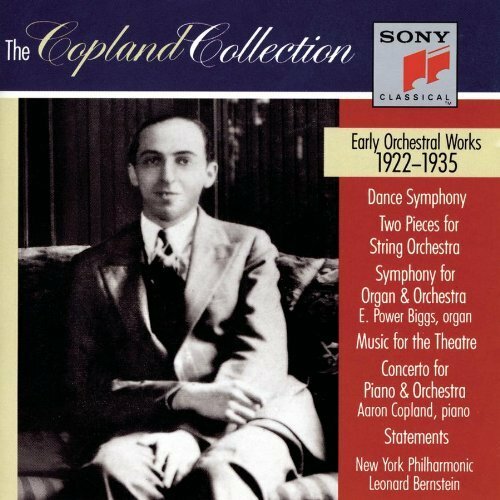 In the case of the items with orchestra, they seem in some cases to have been taken from shellac sides (Rhapsody on a Theme of Paganini, for instance) and in others from, perhaps the masters prepared for these recordings' reissue on RCA's “Collectors Series” of 78 RPM transfers in the early days of LPs, again in the early 1950s. This seems sure for Piano Concerto No. 1, issued on RCA Victor LCT 1118. 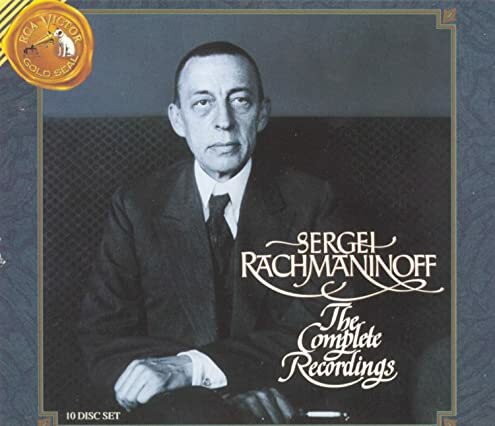 Other issues of Rachmaninoff playing his concertos on CD, such as Membran's sets devoted to 78 RPM recordings made by Stokowski (#12281) and Ormandy (#231058) are no better than those included in this set. Indeed, they seem to have been pirated directly off these very discs, so those who own the Membran sets will make no improvement by purchasing this set. (Interestingly, the Ormandy set includes Piano Concertos 1 & 3, but not The Rhapsody; apparently, even Membran thought it not up to a sufficient standard to pirate). 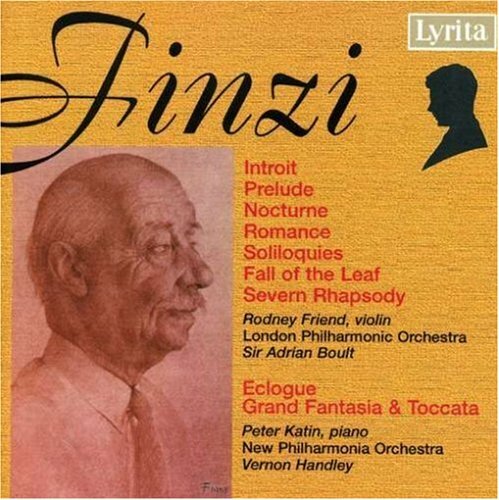 The items with Fritz Kreisler also seem to be from old LP sources, and therefore decent transfers. To sum up, few of the sources used were chosen with care, and the best sounding ones are at least several generations away from the masters. Of course the playing of Rachmaninoff is something from a different world of performance practice from what we hear today, and a clinic in the way musicians approached works in that era, that cannot be heard anywhere today, where even regional orchestras sound highly polished, but performances lack a distinctive sound and character from any one orchestra to another. Ironically, this homogenization is largely due to the proliferation of recordings, and through them, musicians listening to other musicians. Rachmaninoff was an absolutely phenomenal pianist and one whose recordings of his own works are invaluable on many planes, but no one tries to imitate his performances today, even if they could. So, the recordings in this box would have been worth any trouble and expense to do a complete new mastering from as close to the original masters as still exists, and with the latest techniques to preserve them for enjoyment and study. Any decent effort would have automatically merited FIVE STARS without question. But this set, instead merits only disdain and proves itself only a study in how many times the disinterested current owners of RCA's illustrious catalog think they can sell you the same sack of ____. Apparently, Sony Music believes it is at least three. This RCA and now known as the Sony CD set altered the sound of these Rachmaninoff 78s which I have many of in attempting to filter out noise (now it's bland lacking in dynamics and tonal bloom). Too bad. The brilliant Ward Marston remastering reportedly done for the RCA release was either discarded or deliberately tinkered with at RCA because it is so opposite to his mastering work done for the Naxos and Marston CD labels as well as others. I am subscriber to his Marston CD label, have 100s of his CDs remasterings and can't believe this was his work. Also some more of the Stravinsky/Columbia box. 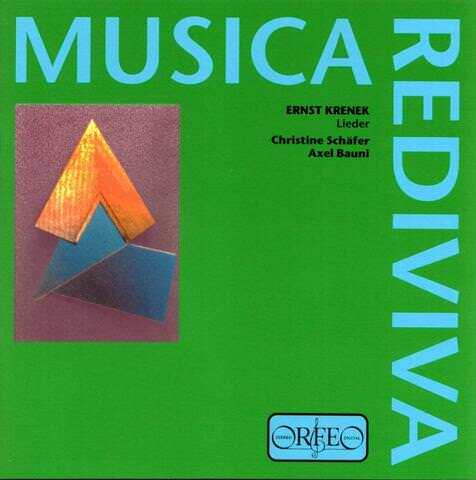 A disc with The Flood (maybe the only Stravinsky work that I actively dislike?) and Mass (which is lovely and suitably otherworldly...another one to track down more performances). Marzz, Eramire156 and scompton like this. So, maybe the new one is a reissue of this one, maybe that is why people are not keen on the sound? While the review confirms this box is the same as the one I posted earlier in the week (and still recommend), it remains to be seen if the latest reissue uses the same transfers/mastering. I would guess it does. A great deal of care and restoration savvy went into Ward Marston’s 1992 transfers. Marston told me that his tapes subsequently were processed (not by him) via the CEDAR noise reduction system. They sound fine in and of themselves, but I’ve since heard Rachmaninov transfers boasting more brightness and dynamic impact (Naxos’ edition of the concertos, for example). Slipping CEDAR in post? These Rach masters are Marston's AMBERSONS! I will probably take a chance on the cheapo new edition. I am not aware of Sony ever spending more time and money sprucing up the sound just for the cheap 'Masters' boxes. Tonight's listening was more Stravinsky/Columbia, this time Les Noces and Ragtime. Both interesting. ... [students'] lack of familiarity and interest in Stravinsky is very, very sad. And I would tell every young composer in this room that without Stravinsky in your life, you’re living in a peculiar type of exile. Without Stravinsky in your life, you have no feeling for instruments. As for me, Rachmaninoff (through no fault of his own) is a major source of frustration right now. For several months, I've been wanting to play a set of miscellaneous "his own pieces" recordings that Victor issued in a set of 10" 78s, and the thing has gone missing. I know I have it, but it's nowhere to be seen in any of the places where it should be stored or even in places where it shouldn't. 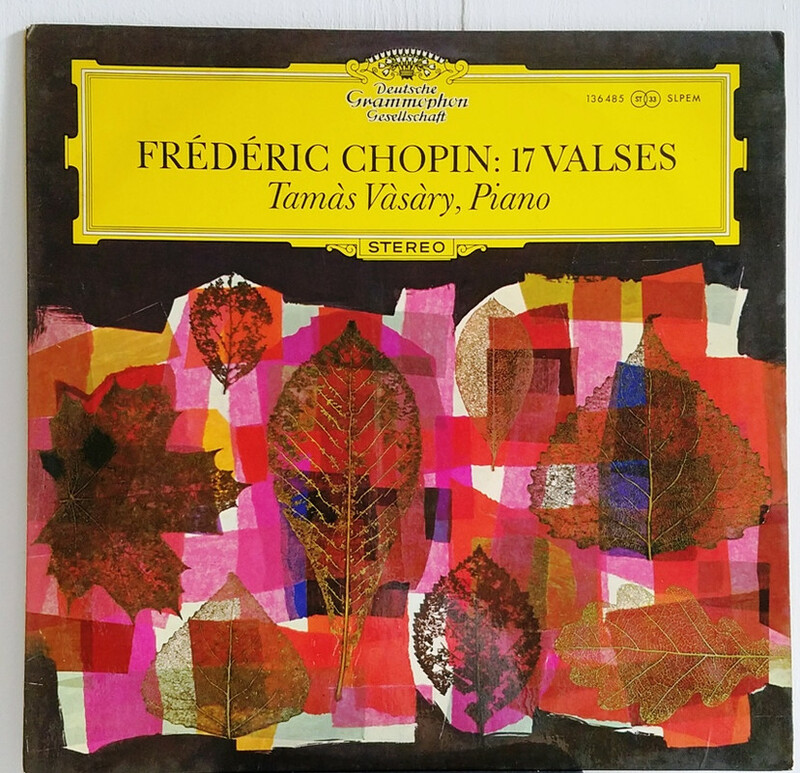 A nice autumn-like cover on this album of Chopin 17 Waltzes, performed by Tamàs Vàsàry. Fine piano sound on this somewhat early DGG album. Copyright 1965, German press June 1966. McLover, lwh1, crispi and 2 others like this. That happens to me way too often. I usually find it later, filed in some odd place when my brain was not fully engaged -- such as a Rachmaninoff in with the Prokofiev section and I must have been thinking "Russian" at the time and, well, there it goes. Marzz and Åke Bergvall like this. 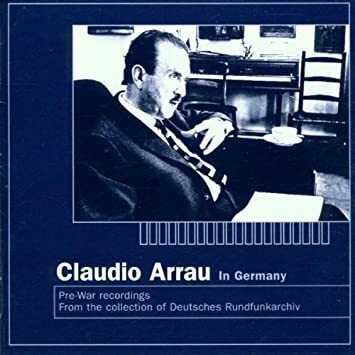 Always fascinating to hear how Arrau changed his Chopin playing from his early recordings to the Philips recordings. This time new to me was a 30s recording of Ballade in G minor also the IMHO underrated (ahh I now feel like my Steve Hoffman forum membership is complete with the use of that word ) Beethoven piano sonata 7.
and more Stravinsky/Columbia, this time his 1964 recording of Rake's Progress. 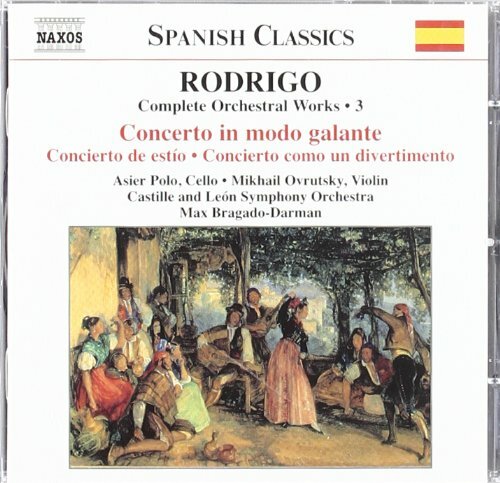 Also started the Joaquin Rodrigo orchestral music series on Naxos, and I might listen to all ten volumes. Also the two Naxos discs of Artur Pizarro's Rodrigo solo piano music. A terrific disc. Superb light music...is it okay to call it this? Not meant as condescension, just pure dancing uplift and spirited gritty playing throughout. A standout in recent listening. 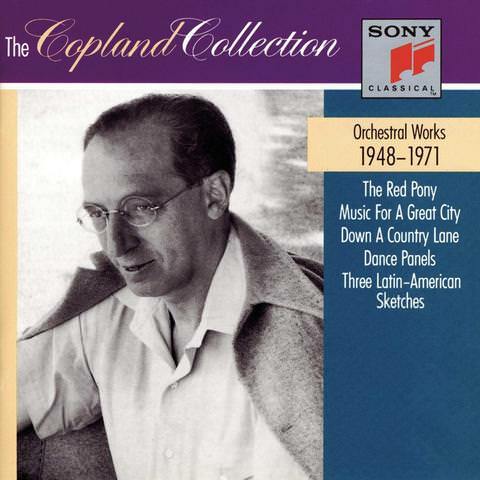 More Stravinsky/Columbia, this time his ~mid-60s Fairy's Kiss, and a great disc with four conductors (Stravinsky, Copland, Bernstein, Morton Gould) leading their own frequently jazz-derived pieces with Benny Goodman as soloist. I don't know why I thought I'd not be into this disc...it's very-good-to-great. Bernstein's Prelude, Fugue, and Riffs is great stuff and has dated pretty well; in 1949 I think this would have beat 1989 John Zorn at his own game.